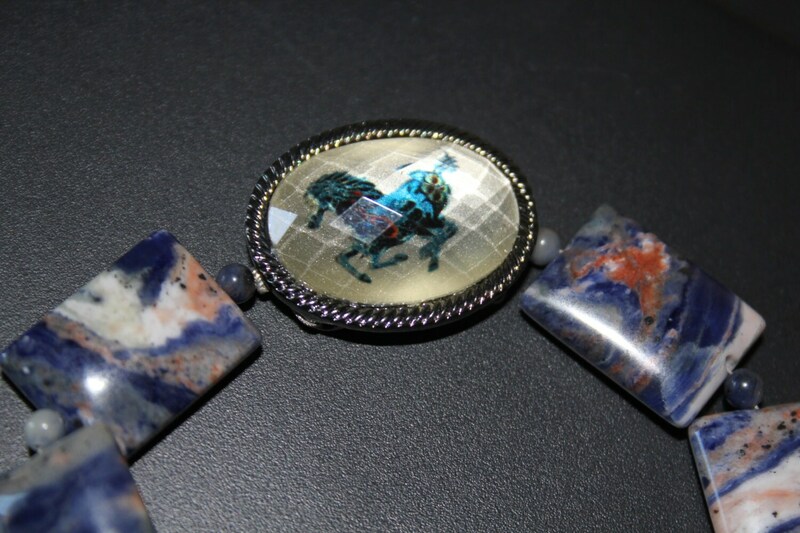 This bracelet is made from puffed rectangles of denim blue crazy lace agate and round lapis accent beads. The blue stone beads have streaks of denim blue, copper, cream with nice veining. 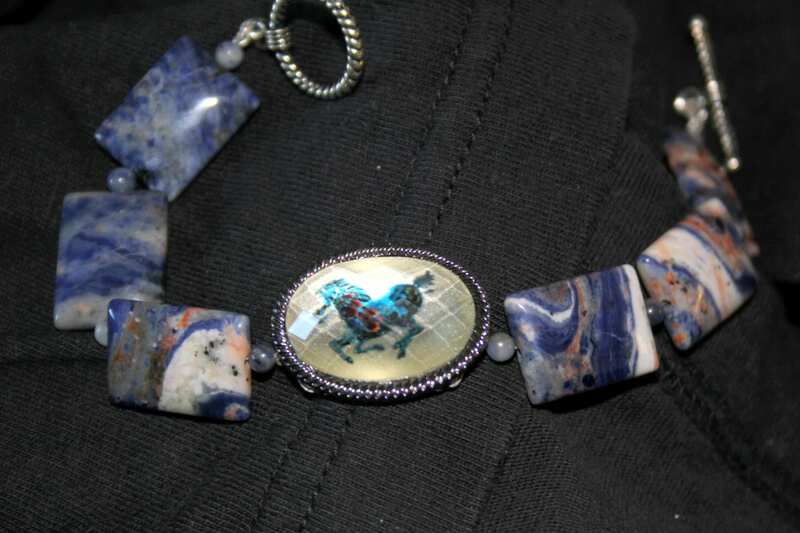 The galloping horse cabachon bead in the center is faceted and domed. 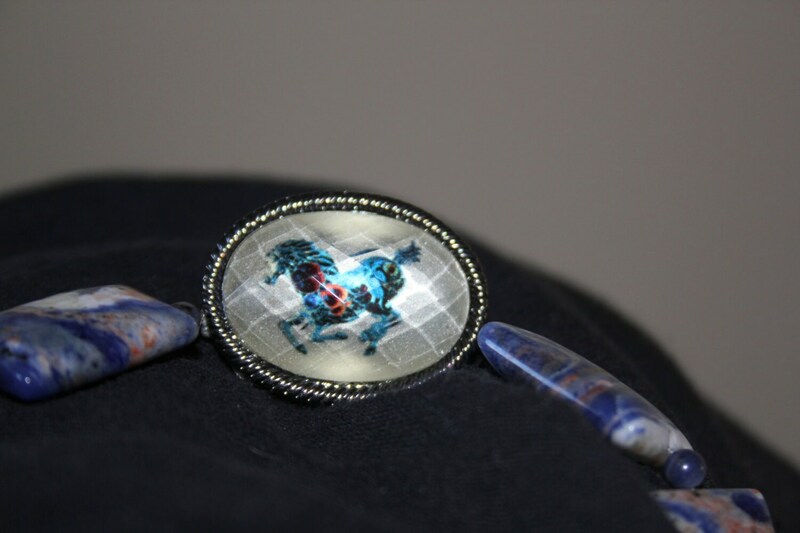 The horse is dark blue with highlights of copper and bright blue set in a gunmetal gray bezel frame. This bracelet will fit most averaged sized wrists 7 1/2 -8 inches and has a silver toggle clasp. The bracelet looks really good with jeans and casual clothes. I can size this bigger if needed.